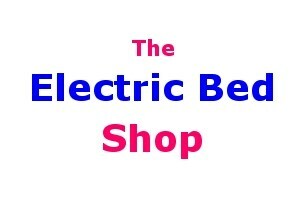 The Electric Bed Shop - Mobility based in Amy Johnson Way, Blackpool. Neal, proprietor of The Electric Bed Shop, has personally sold electric beds throughout the 'Greater North-West' since 1989 (thirty years). Visitors to our retail unit / workshop can see and try many makes of electric adjustable bed in a relaxed and informal atmosphere. You can also see plenty of electric beds and mattress types on our website. Why not ring Neal with any questions you have about electric beds, before you make an appointment to pop in. In a nutshell, The Electric Bed Shop can offer unrivalled friendly, helpful, one-to-one advice and supply finished products at prices which high-street retailers, mobility shops, direct selling companies and Online retailers will seriously struggle to beat. We cover 'the greater north-west'. We rarely 'sell' to customers in their own homes. Nearly all our customers make an appointment to visit our showroom / workshop, for relaxed and helpful advice.